A frolicking polka with lyrics depicting the trouble of finding a job. 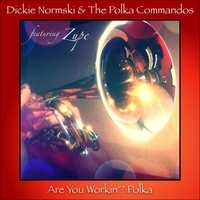 All the way from Mentor, Ohio; Dickie Normski & The Polka Commandos continue the strong polka tradition that's prevalent throughout the U.S. "rust belt." Whether it's songs about finding work, or melodies describing food and love, they all have that happy beat that moves the "hoopa-shoopa" feet! Let's polka!